I met Douglas Coupland! 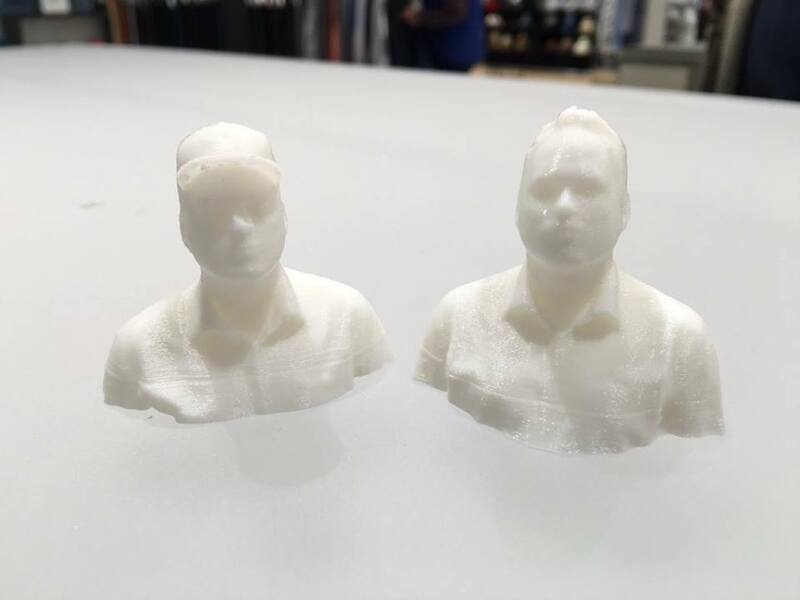 I had known for a while about his project to 3D scan and print each and every Canadian (minus those who couldn't make it to their local branch of a Quebec-based fashion retailer) for an installation he will later make. I was finally able to do it this weekend. I know one of his collaborators, John Biehler, so it occurred to them to scan me both wearing the Blue Jays cap I showed up in and one without. Everybody who gets scanned will get a copy of themselves, and, lucky me, I get two. It'll be weird seeing a 3-dimensional version of me without my glasses, but like Doug (I'm allowed to call him Doug) said, maybe I'm a different person without my glasses anyway. I didn't get a selfie with him, same as with Drake. That makes it two Canadian celebrities I decided not to get a selfie with in the same week. It was a pretty slick operation, with demo units of 3D printers and waiver forms to sign. I saw one tweet snarkily ask "Are people getting paid in 'exposure'?" not reading the part where you get a totally cool 3D printed bust of yourself. (And a t-shirt. That part I didn't know.) Totally worth spending two hours on transit to go to Mississauga and back. Would go again! In fact, to pick up my busts, I will, won't I? Later: John sent me a photo of the two copies of me. I love 'em both!